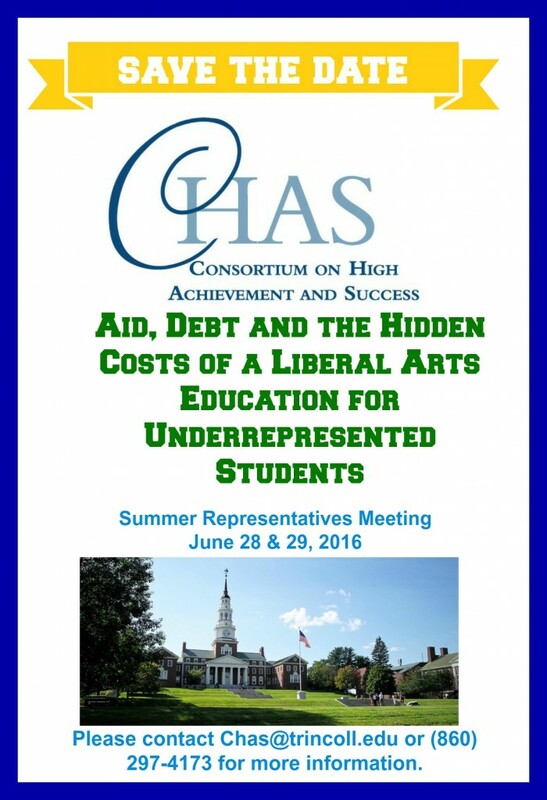 As demographic trends continue to shift and the national conversation about college affordability continues, CHAS will consider student debt and the unique, often hidden, costs that underrepresented students face when paying for a liberal arts college education. Please join us for a dynamic conversation focused on student retention and success for institutional representatives from our member institutions. We will exchange ideas, obtain new information, and engage in networking. We look forward to seeing you.